With this entry, we may be giving some ammunition for those Honey Do lists that we just discussed. And for that, I am sincerely sorry. However, none of the following projects would take more than a few hours of your weekend. You should be able to tackle any of these simple spring spruce up projects and still be able to at least get an afternoon round in. Decks, patios, siding, sidewalks, driveways, deck or patio furniture all accumulate dust and dirt over the winter. 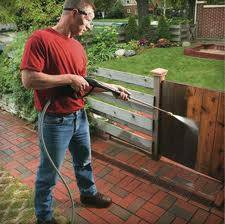 A few hours of elbow grease and making friends with a power washer get a great jumpstart on the summer entertaining season. Early spring is a great time to clean out all the flower and shrubbery beds around the house. 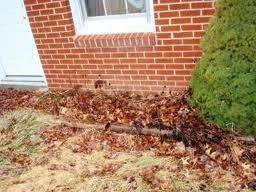 Tons of leaves and other wind-blown clutter have a way of finding a home in and around the flower beds. The sooner you get the beds cleaned up and prepped for spring planting the better. You want to get them done before the any of your perennials start coming up and make it more difficult to work around them. It is amazing how good the place will look with clean flower beds and how much the early flowers will appreciate not having to fight for their place. This is a must to get ready for the April showers. 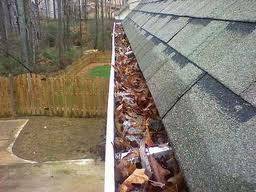 Not making sure that the water can properly drain from the roof can cause multiple problems, not the least of which is a wet basement. Proper tools, ladders, pressure washer extension poles, etc. are just a few of helpful tools that you may need. Just remember, you are not an acrobat and you should not attempt to do all the high gutters alone, especially if you are not used to heights or working from ladders. Be safe and live to see another season! It is good feeling to actually be able to use the Garage for its intended purpose. Pulling into a well-organized, clean Garage is so welcoming; you will wonder why you parked outside all those years. And your wife will be a lot happier, too! Of course some houses will take longer to accomplish this task than others. Some of the newer houses these days could be classified as “glass houses” with the amount of glass that is included in their design. Tilt-in sashes have saved many a husband from having to climb up on rickety old ladders to get those second and third story windows. You may be pleasantly surprised how bright the sunshine really is once you can see through the windows. Sometimes we don’t realize how much traffic goes through our homes in a given season until we have to move the chair or sofa to retrieve Fifi’s ball. Dependent on the size of the room and what is in it, you may decide to get the professional in rather than tackle this one yourself, even though it is a very do-it-yourself project. If you have been keeping up with this every other year or so, the time consuming preparation work is kept to a minimum. 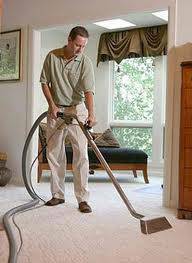 You should be able to do a thorough cleaning and hit the ground running. A couple gallons of paint, a roller, a good paint brush is all you should need to tackle this project. Throw in a drop cloth and perhaps a ladder and you are good to go. Don’t be caught with your preverbal pants down this spring! 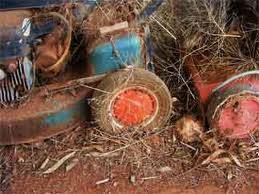 Remember in the fall when you promised yourself that you would get the lawn mower serviced and the blades sharpened before next year? Well, next year is upon us and it won’t be long before you will be answering the call of the wild that you affectionately call your lawn. Last, but certainly not least, is changing the batteries in your smoke detectors. These little, seemingly unimportant units located throughout your house, need attention at least once a year. A good rule of thumb is when you change your clocks, you should change your batteries. You will be glad you did when they save your life and or the lives of your family members. Just remember, anything that you need help with, Gehman Custom Remodeling would love to lend a hand!